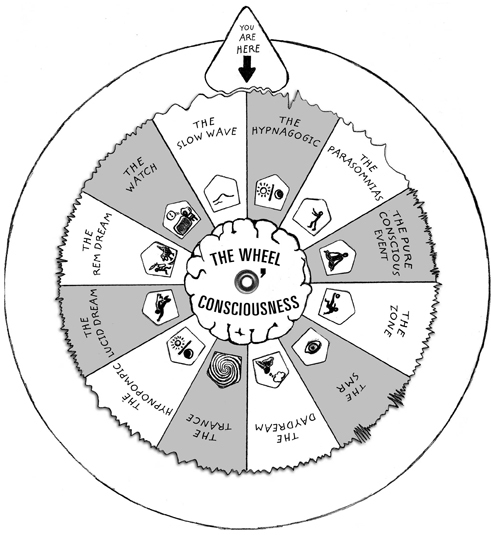 The Wheel of Consciousness describes twelve unique states of mind available to us over a 24-hour day. Some occur with strict regularity, others are more rare. Click on the state you wish to visit. Have you ever really noticed how you experience waking, sleeping and dreaming? It's stranger than you think.